Why Hug the Shore ? Transformation journeys need a spark to ignite the minds, a decisive action that can galvanize the masses. Leaders in all walks of life find ways to pick that special moment to make a simple, though larger than life, statement that flags off the vision, setting in motion the road to immense possibilities. In the late fifteenth century, when the entire world still believed that the earth was flat, Christopher Columbus set sail in 1492 fearlessly towards the west from the coast of Spain across the unchartered Atlantic Ocean. Navigators till then would always travel east, hugging the coastline for safety. Columbus, a courageous visionary, believed the earth was round and setting out to find India did the unthinkable: he set sail perpendicular to the shore. In that single gesture, his team on board knew that literally there was no looking back. Stunning actions that challenge the status quo have the power to transcend rational doubting minds and can touch the collective consciousness of the team. Michelangelo Buanorroti, the unrivalled master of the Renaissance era, had always considered himself primarily a sculptor. 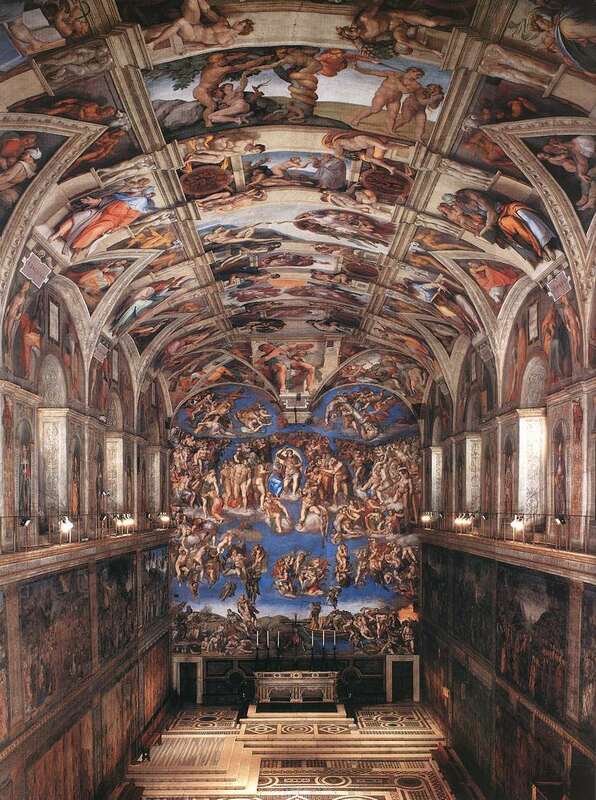 When commissioned by Pope Julius II to paint the ceiling of the Sistine Chapel in the Vatican City, Michelangelo took up the monumental undertaking, rather reluctantly though. Undaunted, he toiled for four years from 1508-12, single handedly painting almost 300 biblical figures covering nearly 12000 square feet of the interiors of the chapel,working all along from a scaffolding, Michelangelo’s seminal work is widely hailed as amongst humanity’s greatest works of art, a fortuitous departure from his love for sculpture that the world is grateful for. Thomas Kuhn, author of “The Structure of Scientific Revolutions” and known to have popularized the phrase ‘paradigm shift’, observed: “You don’t see something until you have the right metaphor to perceive it.” When Roger Bannister broke the daunting four-minute-mile barrier clocking 3:59.4 in 1954, a feat never ever accomplished before, it was not just the greatest athletic achievement. It was an epochal moment that signaled the overcoming of both a physical and psychological obstacle. Within the next three years, 17 athletes followed suit. What made it impossible for human athleticism to have failed in this quest before Bannister, and what unleashed the realm of belief thereafter? A powerful thought, a visionary speech, a single action at the right time and place, can catalyze teams, rally them together, fuelling a journey of self belief and enabling deep commitment to a deep value or purpose. While launching the Nano, Ratan Tata recalled: “Today’s story started some years ago when I observed families riding on two wheelers, the father driving a scooter, his young kid standing in front of him, his wife sitting behind him holding a baby and I asked myself whether one could conceive of a safe, affordable, all weather form of transport for such a family.” His clarion call to the team at Tata Motors, that blended social concern with an entrepreneurial challenge, achieved the unimaginable. In 1934, at the culmination of the famous Dandi march, Mahatma Gandhi held up a fistful of salt, in defiance of the mighty British, heralding a peaceful revolution that fired up souls across the country committing them to the compelling cause of free India. Leaders, in any walk of life, need a visionary purpose, personal optimism, boundless energy, and the innate ability and courage to execute the dreams. Contemplating a path less trodden, a leader is likely to face the interesting dilemma. When you have faith in something, you do not really need a proof of the end outcome. On the other hand, if you already have evidence of the likely results, then you probably do not need to instill faith. This is truer when you have to carry your team along who may not be able to see your grand plan and what it can deliver. “Leaders”, as Napoleon observed, “are dealers in hope”. You can achieve a stirring start if you seize that transforming moment, a beau geste, to define the journey ahead. In that singular action, you can capture the imagination and spearhead the change. Well written and insightful. Loved the way you connected the examples from different points in time and weaved them. lets not forget the role of the ‘tyrannical’ Pope who kept pushing on Michelangelo on AND also ensured he never quit in between. A great manager !